Dear Nurse Beth, I am a new grad nurse and I am really struggling with how to choose my very first nursing job. So far, the majority of nurses I have asked said they chose their job because it was the only offer they had at the time, however, that is not my situation. I currently have four offers (2 different med surg floors, a neuro floor, and a cardiac floor) and still have a few more interviews left. The med surg, neuro, and cardiac offers are at a bigger hospital about an hour away from me and the other med surg offer is at a small hospital (59 beds total) about 30 minutes away from me. I have had clinicals in both of these hospitals and shadowed on all the potential floors and truly enjoyed them all. I'm struggling with deciding how to pick which one would be the "right fit" because I honestly feel like I could see myself in all of the positions. I could really use some advice about how to go about picking my very first position and things to be mindful of when choosing the hospital. Any advice would be SUPER HELPFUL! Congratulations on having 4 job offers! It's a buyer's market in your area, and everyone wants you:). You have a lot of choices, and it's important to pick the best one for you. Clinically, they all offer a wonderful opportunity. Neuro is more of a specialty, and if you adhere to the broad before narrow way of thinking, med-surg and cardiac offer a broader foundation for practice. Larger hospitals typically have more resources than smaller hospitals. Generally, the smaller hospital's training and onboarding will not be as developed or structured. Are either of the hospitals part of a larger system? A benefit of working in a large system is that you can transfer within the system down the road, retaining benefits. A benefit of working a small hospital is that you become a generalist, with a broad skill set. The culture in a small hospital will be different than the culture in a large hospital. Think about your life until now and whether you are more comfortable in larger groups (previous communities, schools, churches) or smaller groups. Within hospitals, not all units are the same as far as practice environments. In a large hospital with multiple ICUs, each ICU will have its own unique culture, and within any given ICU, day and night shift staff have their own micro-cultures. Ask about unit turnover as an indicator of the health of the practice environment. High turnover and short staffing can be (usually is) a sign of staff dissatisfaction. 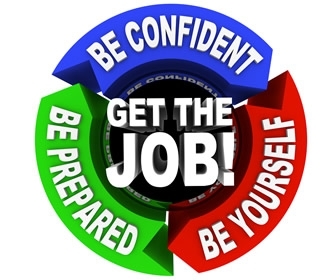 During your interviews, ask what the unit's attitude towards new grads is. Are they welcomed and supported? In what ways? Ask if they ever had a new grad who struggled, and how it was addressed. Find out if they have shared governance, and if so, if the unit based council is active. What projects are they working on? Ask about the length of orientation. An orientation that fully supports your transition to practice is invaluable. What specialized classes are provided? (ACLS, Basic Arrhythmia). You can also ask how long is it before new nurses have to float, and what training is provided for floating to another unit. Is there an educator for your unit? If you need help clinically, is there a dedicated charge nurse, well trained RRT, and a clear chain of command? Ask what nursing uses for clinical guidelines. The answer you want to hear is that they follow evidence-based practice, whether it's by using Lippincott, or corporate based policies and procedures. How are patient care assignments made? The best answer is that the nurse's skills are matched to the patient's needs. As an example, you should not be assigned to a patient with a continuous bladder irrigation (CBI) until you have demonstrated competency with CBI. In a stroke certified hospital, you should have your NIH stroke certificate before managing a stroke patient. What shift do you want to work, and is it available? Does the hospital offer tuition reimbursement, and is that important to you? Does the hospital have a clinical ladder program, and in what ways is professional development encouraged? These are just a few questions you can ask to help determine a good fit for you and a safe practice environment. I really hope this helps you, and good luck! Nurse Beth works in acute care and is the career guru at the Ask Nurse Beth career advice column. She has an award-winning blog, nursecode.com Best wishes, Nurse Beth Author, "Your Last Nursing Class: How to Land Your First Nursing Job"...and your next!